Today it is my stop on the Springtime at Cherry Tree Cottage Blog Tour. This is the 10th novel set in Talyton St George and I loved returning to this fabulous fictional village. Thank you for welcoming me to your wonderful blog. I loved revisiting Talyton St George in my new book ‘Springtime at Cherry Tree Cottage’. As it has a springtime theme and is set in East Devon, I thought I’d introduce you to five of the best places to visit here at this time of year. 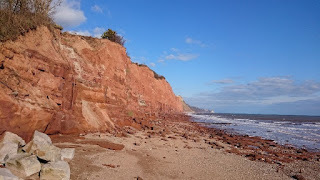 I’m also pleased to tell you that I’ve recently moved back to the ‘Talyton St George’ area in real life, so the other weekend I was eating ice cream on the beach at Sidmouth. I can thoroughly recommend the Salcombe salted caramel flavour! Sidmouth is a seaside town set below green hills and the red sandstone cliffs of the Jurassic coast, a World Heritage site. It is beautiful at any time of year, but in spring you can enjoy walking along the Esplanade where the row of fine Regency buildings looks out across the sea. If you are feeling more adventurous, you can walk the coastal path to Beer and Branscombe to the east. Connaught Gardens are well worth a visit to see the collection of temperate plants and bulbs that are in flower in the spring. And while you’re there, stop at the Clock Tower Café for an enormous slice of cake. 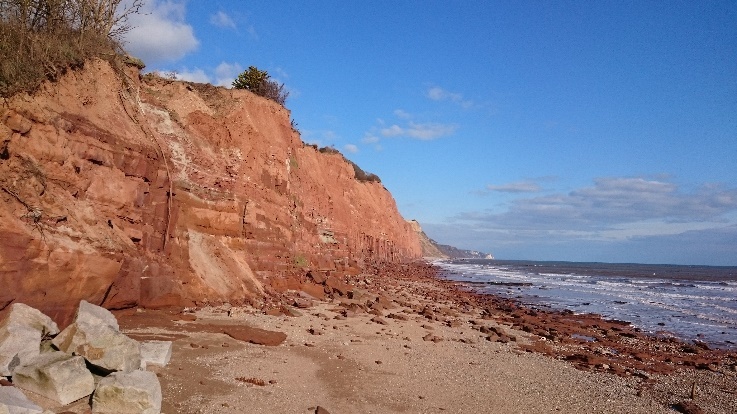 The walk starts at the Limekiln car park at the mouth of the River Otter in Budleigh Salterton which has a pebble beach. You follow the estuary then continue along the river where you can see the signs of spring. I based my description of the River Taly that runs through Talyton St George on the River Otter, so while you are there, looking at the scenery, I hope you will be able to imagine Flick and Robbie from ‘Springtime at Cherry Tree Cottage’ riding their horses along the riverbank. I would recommend a stop at Otterton Mill, a water mill from the mid-19th century, where you can have lunch, buy fresh bread and buy works by local artists and craftspeople. It’s very popular so it can get busy. Killerton House is a National Trust property. It is an eighteenth century house with landscaped gardens surrounded by beautiful parkland. Inside, there is a historical fashion collection. It is particularly renowned for its collection of spring flowers, including cyclamen, celandine, bluebells, snowdrops, crocuses, daffodils, camellias and magnolias. Exmouth is situated on the Exe estuary at the western limit of the Jurassic Coast. It has two miles of sandy beaches where you can walk and look for shells or paddle, when it’s warm enough! There are cafés, lawns and displays of spring blooms along the seafront. In the Talyton St George series, the seaside town of Talymouth was inspired by my trips to Exmouth, and in ‘Springtime at Cherry Tree Cottage’, Flick visits Talysands which is loosely based on Dawlish Warren on the opposite side of the Exe estuary. When I visited Exmouth the other week, much of the beach had been washed or blown up onto the roads and pavements by one of the big storms and there was a team of people in the process of moving it all back again. If you take your dog with, just check which areas of the beach they are allowed on and when as there are restrictions as spring turns into summer. I hope you will enjoy some of the many attractions the area has to offer if you are passing through, or staying here on holiday. Cathy Woodman’s books are all set in the idyllic village of Talyton St George and every time she releases another book in the series I cannot wait to revisit the Village and the familiar characters. 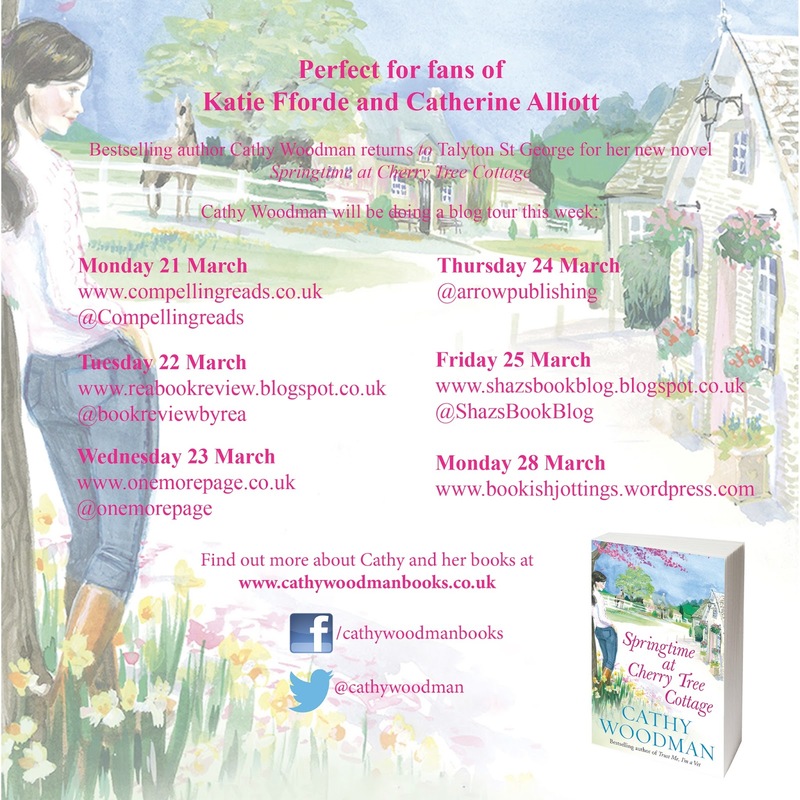 Cathy Woodman’s latest release is her 10th book set in Talyton St George and the cover of Springtime at Cherry Tree Cottage is just as inviting as the storyline it holds inside. Flick is new to Talyton St George, a qualified blacksmith she is covering for the village’s Farrier Mel whilst he has surgery but his clients are not all thrilled with the thought of not only a new Farrier but a lady Farrier at that, Flick has a hard task of proving her skills and winning their trust. 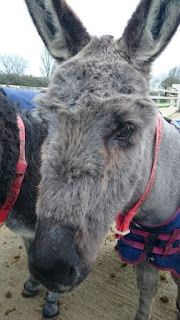 Luckily one of the clients the handsome Robbie is more than happy with Flick and with the pair of them both being horse mad they have a great connection but does he just see Flick as one of the lads? I was so absorbed by this storyline that I couldn’t put it down and as I found myself flying through the pages enjoying my return to Talyton St George I then didn’t want to reach the end as I hate leaving the characters we meet in these books behind. Ten books have been set in this village and there is still a great appeal to the books and it is great that we get to see snippets of the characters from the previous books to see how they are doing too. Flick was another hardworking and friendly character who I loved from the first chapter and she was determined to be self-sufficient and prove to herself as well as overs that she can do things alone and she can do things well too. Robbie was our typical charmer who, like most of the women in the village, can’t help but swoon over. I still feel like Cathy Woodman’s books do not get the justice the recognition they deserve, she has such a wonderful flow to her writing and you can see how much knowledge and research she puts into her storylines. This book can easily be read as a standalone so if you have never read one of Cathy Woodman’s books then pick this one up and please shout about to friends and family as they are such wonderful books you are missing out on. This is a charming and quaint read that is uplifting and entertaining, yes ok the romance side of the book is rather predictable but that really didn’t affect my enjoyment of the book. This book gets a big thumbs up from me and I cannot wait for the next trip to Talyton St George.